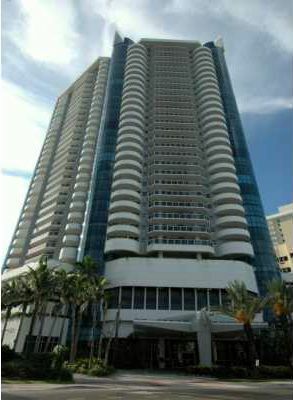 The 34 story La Gorce Palace is found on Miami Beach's Collins Avenue directly on the beach, overlooking the waters of the Atlantic Ocean. The building features one, two and three bedroom Miami Beach condos that offer great ocean and city views plus the style that the barrier island is well known for. Check out La Gorce Palace's two story lobby and then visit the building's swimming pool or if you're looking to work out a variety of muscle groups then head over to the gym and aerobics room that has a variety of machines. The building also has card rooms plus billiards and a sauna. The units of La Gorce Palace come with European style kitchens, marble bathroom flooring and nine foot ceilings. The beach essentially functions as La Gorce Palace's yard and it stretches north and south. In both directions you'll come across a number of great places to visit like Ocean Drive or the shopping and dining of Lincoln Road.